Chris Colbert, CEO of Boston marketing firm Holland-Mark, has a theory that the way customers look at a companies’ brand is by reducing it to One Simple Thing, or OST. For more about OST, check out my interview with Colbert here. When I look at MTV, their OST is “cool”. With this event, MTV certainly lived up to its “cool” reputation. Unlike other recruiting events that occur in hotel lobbies or conference rooms, MTV rented out the space of one of Boston’s hottest clubs, Royale. In addition to blasting music, an enormous television screen and popcorn machines, the event was hosted by one of the famous VJs. Sometimes, it was difficult to remember I was there for a recruiting event. However, this next action convinced me that MTV was serious business. 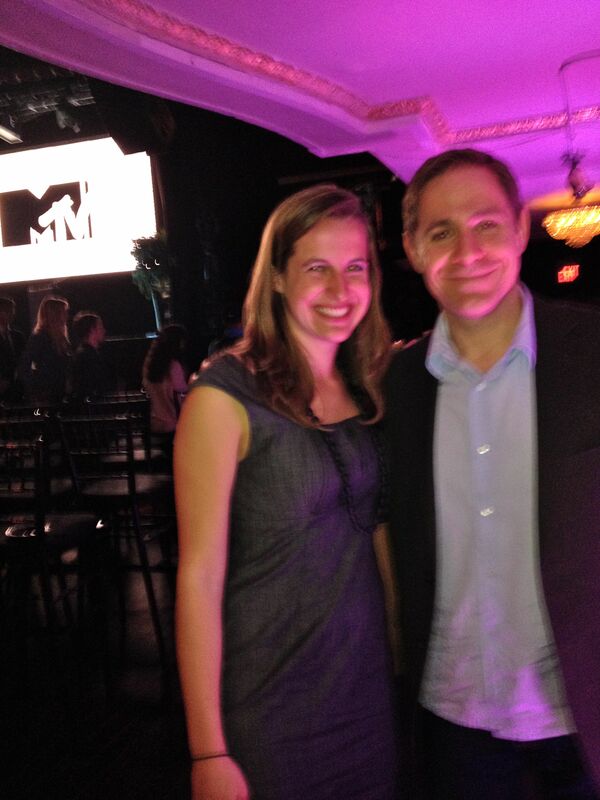 The fact that I met Stephen Friedman, president of MTV blows my mind. What other nationally known company would have the CEO introduce himself to entry level employees and interns? Yet, Mr. Friedman bravely faced down a line of green twenty somethings, shook hands and talked with everyone who waited. This action reinforced the message that fellow MTV executives echoed throughout the event: millennials are important–and we want to hear what you have to say. “I want to hear what bands you’re listening to, what acts you’d want to see at awards shows”, Amy Doyle, the executive VP of music/talent repeated emphatically. She elaborated that, working as an intern in the music department was like being a guinea pig in that, “we ask lots of questions”. For a channel whose new bread-and-butter is millennials, working as a twentysomething certainly has its advantages. In addition to some of the bigger names, MTV was smart enough to bring Matt Cohen, a market research associate, to give the actual perspective of a millennial employee. As someone younger and still relatively new to the company, Cohen acted as a more accessible bridge for recruits to talk and relate to. The best part of the event was being able to talk with people who were presenting. I enjoyed meeting and talking with Cohen about blogging and millennial market research. I was lucky enough to also talk to Paul B. Kelly, the director of integrated marketing about the challenges of traditional content/commercial format and the effectiveness of product placement supported by commercials. As a distributor for mtvU, the university branch, Victoria Nastri and I had an interesting conversation about how college students watch tv, a subject I’ve written about in the past. The fact that I was able to have these conversations as a recruit and not a full-time employee opened my eyes to just how big an investment MTV was making in attracting students. MTV and Social Activism: 16 & Pregnant + Making the World a Better Place? One aspect of the brand MTV repeatedly stressed was social activism. From a long list of partnerships with non-profits to a video showing network volunteers in Africa, Friedman emphasized the activist mindset heavily in the presentation. He was even able to defend the network’s controversial show 16 & Pregnant, siting a study that demonstrates a decrease in teen pregnancy that cites the show as a major factor. While I wouldn’t naturally pair MTV with social activism, Friedman definitely hit a point of interest with recruits. Over half the questions asked in the Q&A section regarded current MTV social action policies or partnerships as well as potential ones. Whether or not customers define the MTV brand with service, the channel made sure its recruits did–a strategy that seemed to match the majority of the attendees’ values. 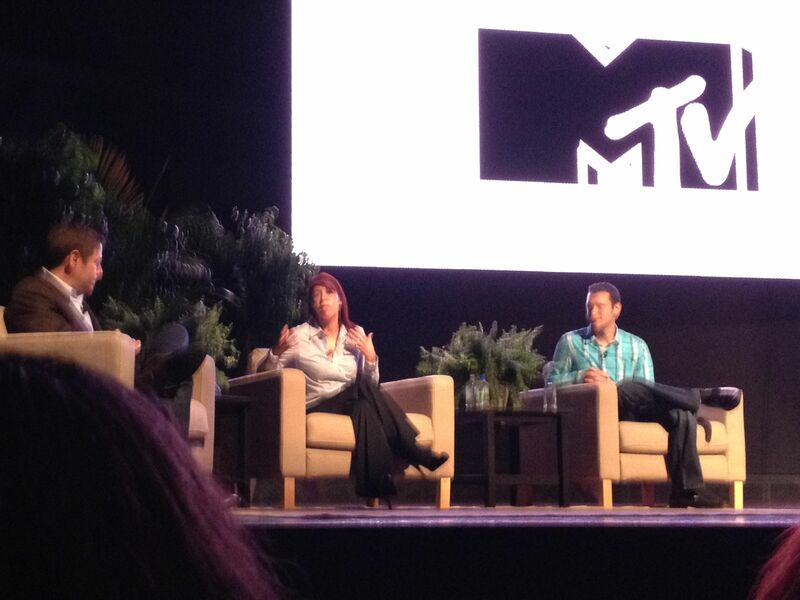 MTV’s recruiting event was successful in leaving a positive impression on me. The event re-enforced the strong brand image I had of them, allowed me to meet and talk to game-changers in the field, and addressed the issues of corporate responsibility and nonprofit partnerships. I know these are elements I’ll be looking for in future recruiting events.